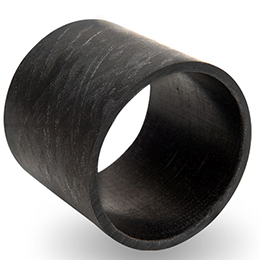 polyslide groupPolygon's PolySlide products are revolutionizing the motion control field with advanced composite cylinder tubing materials, providing high performance and value compared to aluminum and other similar metallic materials. PolySlide can be interchanged with any metallic cylinder material in a variety of tie-rod applications. 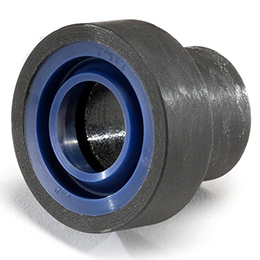 Polygon Company has patented numerous end termination techniques for non-tie rod applications. PolySlide cylinders can be provided as needed, from a simple cylinder tube cut to length for customer assembly to a complete cylinder assemblies designed and built in-house according to your specifications. 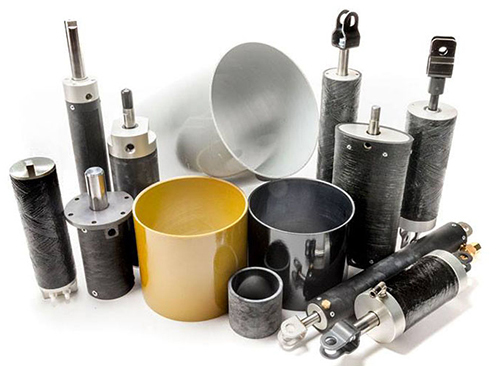 Assemblies are available for numerous applications ranging from trucks to packaging equipment. Polygon not only has the technology to assist cylinder manufacturers in the use of PolySlide cylinders but also has the internal testing facilities to validate most designs to our customers' satisfaction. Polygon's in-house capabilities range from cycle testing, burst pressure chamber with video analysis of failure mechanisms, to in-use frictional analysis. Polygon has also developed the first cylinder with Intrinsic Sensing Technology within an embedded electronic component to the composite laminate for finished cylinder assemblies.